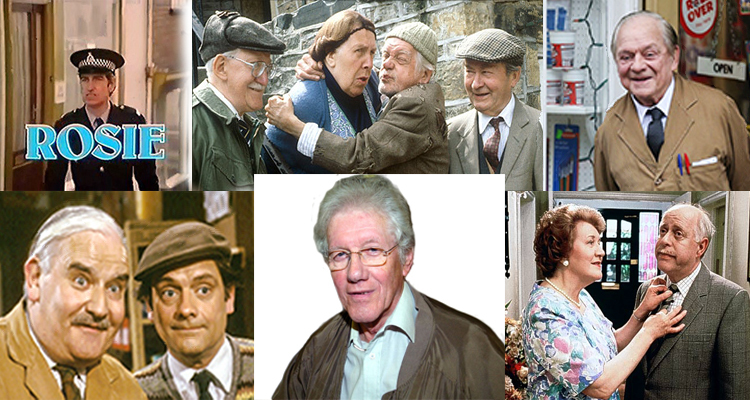 Celebrating sixty years of the great British sitcom, we talk to Roy Clarke about his classic sitcoms and catch up with Still Open All Hours. BCC: It’s quite an impressive list of comedies written by you, some of which do not immediately spring to mind, as many younger people won’t remember and of course they don’t all have the benefit of on going repeats on the many digital channels we now benefit from. Can we start with perhaps your best known, Last Of The Summer Wine. It started out on the famous Comedy Playhouse platform in 1973, how did you become involved with Comedy Playhouse? RC: I started writing drama, all my drama writing had an element of comedy in it. I was invited by then head of BBC comedy Duncan Wood to come in and have a talk. He told me he was looking for something for three old men. I went home and played with the idea for a couple of weeks, I just couldn’t come up with anything. Then I thought the three of them would be retired so free to do as they pleased, just like kids. Once I thought of them as kids it all came together. 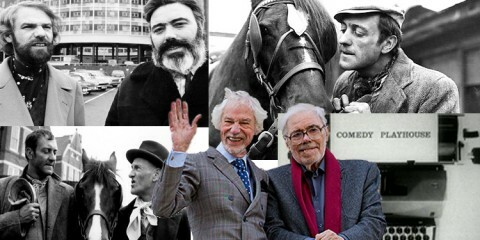 BCC: Sticking with Last Of The Summer Wine, did you ever think it would run as long as it did? and when Bill Owen passed away clearly as a writer it presented new challenges and gave you the opportunity to expand other characters and bring in new, but did you think that without Bill Owen it may be short lived? RC: Absolutely not, I thought it was a terrible idea when I first started (laughs). With Bill Owen, he died half way through filming a new series, we couldn’t can it, so we had to find a way to finish the series. Thankfully it worked and we continued. BCC: What was your favourite Last Of The Summer Wine era and why? RC: Clegg, I liked Clegg, I always gave him the best lines. BCC: Hobbo, Entwhistle and Alvin appeared a deliberate nod to the series roots. 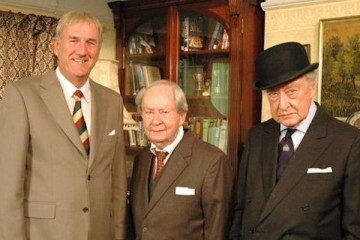 Had the BBC not cancelled it, do you think Summer Wine might still be going in some form with the new trio? RC: Yes it was a deliberate nod, as for continuing, we all still had the energy for it, but we were all getting on a bit. BCC: Would you have liked to se it come to an end in a different way? 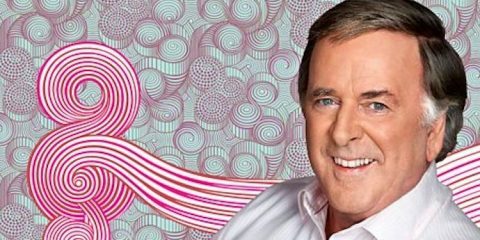 RC: We had a good run and always knew at some point it would come to an end so generally I would write the end of each series as though it could be the last. BCC: Roy Clarke sitcoms have become known for their strong, dominant female characters such as Nora Batty, Ivy, Widow Featherstone and Hyacinth. what was the inspiration behind them? RC: It’s something you tend to notice. I was in the police force in a coal mining community, the workers would come home after a hard day’s work and want to drink, relax, socialise. They were backed by these strong women keeping it all together. 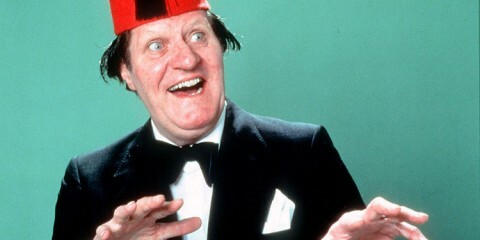 BCC: Creator of Oh No It’s Selwyn Frogitt, why did someone else write the series? RC: Busy schedule, I had other writing commitments. 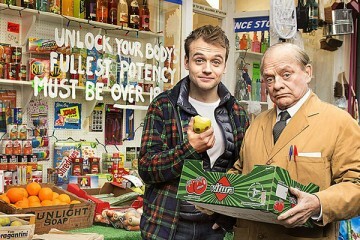 BCC: What was the inspiration behind Open All Hours? RC: The BBC were doing a series “Seven Of One” for Ronnie Barker, looking for ideas that could make it to a full series. I had lunch with Ronnie Barker, who said he always wanted to play one of those shopkeepers who sells everything. The idea particularly appealed to me as my wife used to run one. BCC: We never saw Nurse Galdys’ Mother, although she got mentioned a lot, were you ever tempted to write her into the scripts as a character? RC: No, these things are never funnier than when left to the imagination. 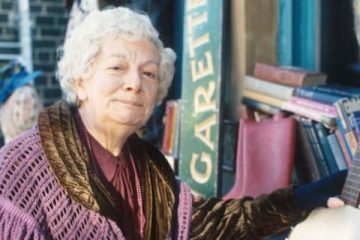 BCC: Clearly Open All Hours remains one of Britain’s most popular sitcoms, yet it only ran for four series over a nine year period, was that so you could balance with Last Of The Summer Wine writing? 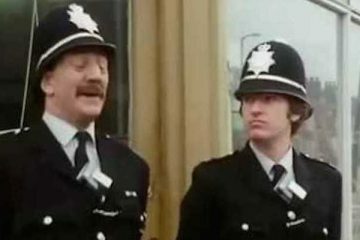 BCC: Many sitcoms around the 1970’s got the big screen treatment, did you ever want to do the same with any of your works? RC: I would have loved to, but was never offered the chance. BCC: Potter, a seriously under rated sitcom that starred Arthur Lowe, who died before the final series could be completed. Robin Bailey stepped in for series three, was there only ever going to be three series? RC: When Arthur Lowe died it just didn’t feel the same and public appreciation was not the same either, so it ended there. BCC: Keeping Up Appearances , I think we know a Hyacinth, but where did the inspiration come from? RC: As you say, everybody knows a Hyacinth and people recognised the character. BCC: If we can go back briefly to some of our other sitcoms that never seem to have an airing. This is the case with so many comedies of the time, why do you think TV companies always concentrate on specific works? BCC: Still Open All Hours returns later this year for a full series, if it is as well received as the Christmas episode will there be another series? RC: Yes, if the BBC ask. It’s been pleasurable , I’ve had a great time working with David again. BCC: We usually ask you to pick four favourite episodes from your works, would you like to pick four and tell us why you picked them ? RC: It was all a long time ago, I’ve forgotten many details, but still get pleasure from watching the repeats. BCC: Favourite sitcom you didn’t write? BCC: With the exception of Still Open All Hours, is there a chance of seeing any new comedy from Roy Clarke? RC: No, I think I’m too old now. I’d been trying without success for four years to get something off the ground before Still Open All Hours. It was the BBC who had been trying without success to find a vehicle for David Jason. When they asked him who they could use as a writer, David suggested me, the result, Still Open All Hours. 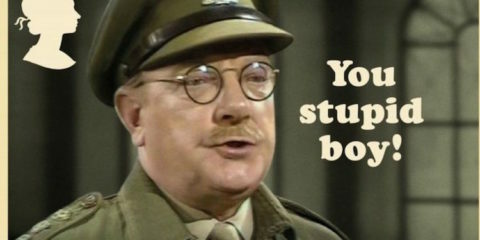 BCC: Roy Clarke, Thank You for talking to British Classic Comedy.